If you’re a sales manager, you’re probably feeling stuck in the middle. On one hand, you have a huge employee engagement movement going on with HR departments focusing on developing leaders and recognizing achievements with substantial budgets. On the other side, marketing departments are using technology and creativity (and also large budgets) to connect with and educate customers about their products, solutions and brands. The trend is to challenge every dollar spent on sales compensation to maximize ROI. HR departments are treating salespeople like all other employees. And customers are going online to avoid anyone with sales in their title. 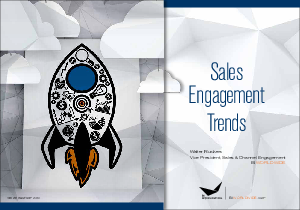 Based on our research and applications we see in our customers’ leading sales initiatives, if you’re a sales manager, you are trying to maximize results out of your sales team by increasing your teams' engagement to meet company goals. Download this white paper to see which eight trends you should consider as you strategize for the year.